I have really got into doing some extra stuff that make wargames more fun recently – terrain, vignettes, command and casualty bases. To that end I have just completed some more. These are all Perry Miniatures. I got hold of their British Infantry Casualties (Code BH55) and Dutch/Belgian Cavalry Casualties (Code DB42) sets. Once again I am using the excellent Warbases 40mm casualty bases I acquired a month or so ago. The British set contains six figures, including one vignette piece. First off a rifleman. 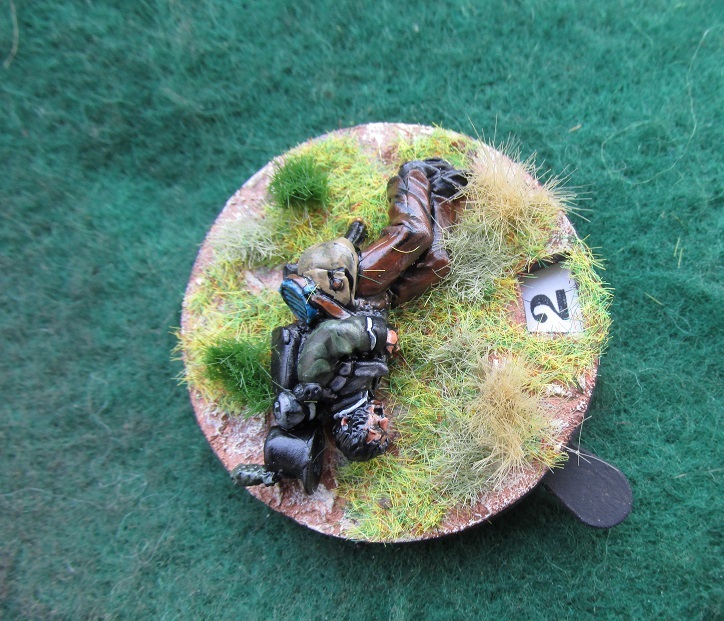 Flank Company or Light Infantryman (top) and Centre Company (bottom) bases. 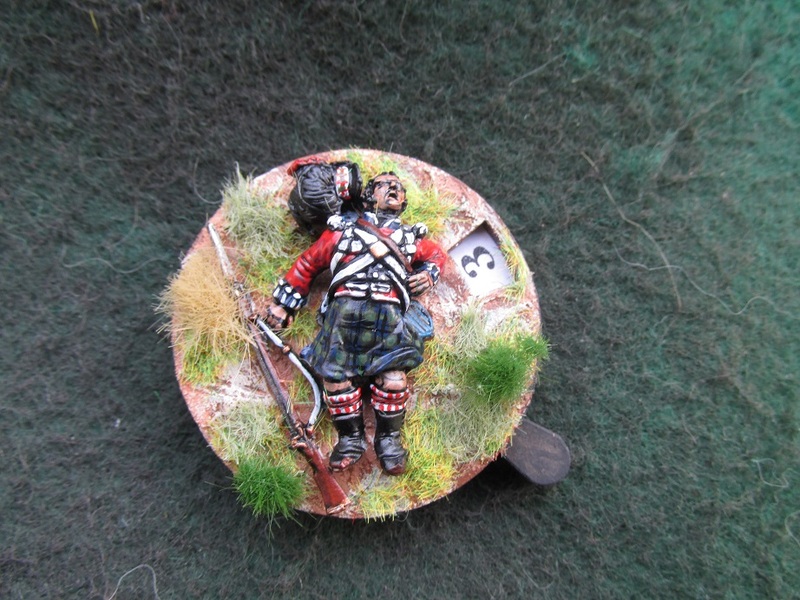 A dead Highlander. I was quite pleased how the kilt came out on this guy. I have two regiments of Scots to paint and the kilts were putting me off. Now to see how I manage 24 at a time. 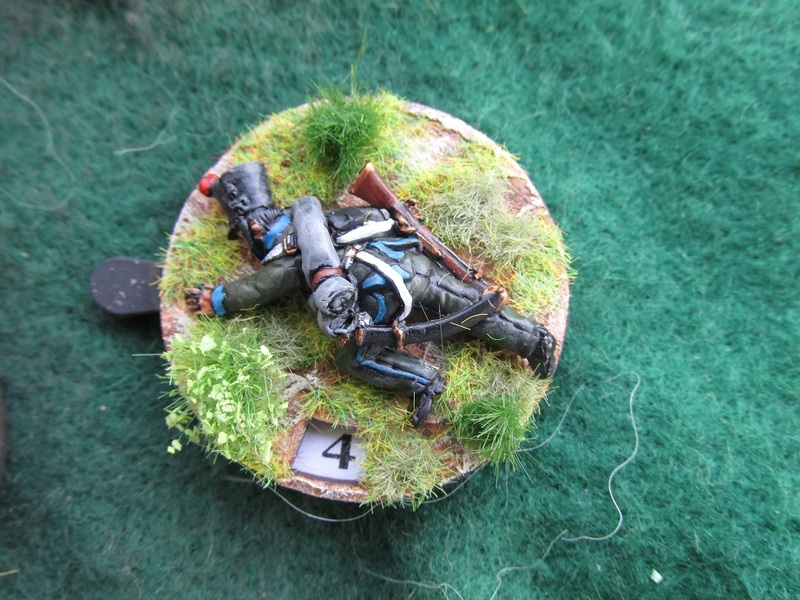 Finally a vignette base showing a soldier helping a wounded officer. The Dutch/Belgian cavalry casualties are not being used as is, but paint converted to be French cavalry casualties. First off a French Chasseur. A Dutch Carabineer doing duty as a French Line Lancer Elite Co casualty. 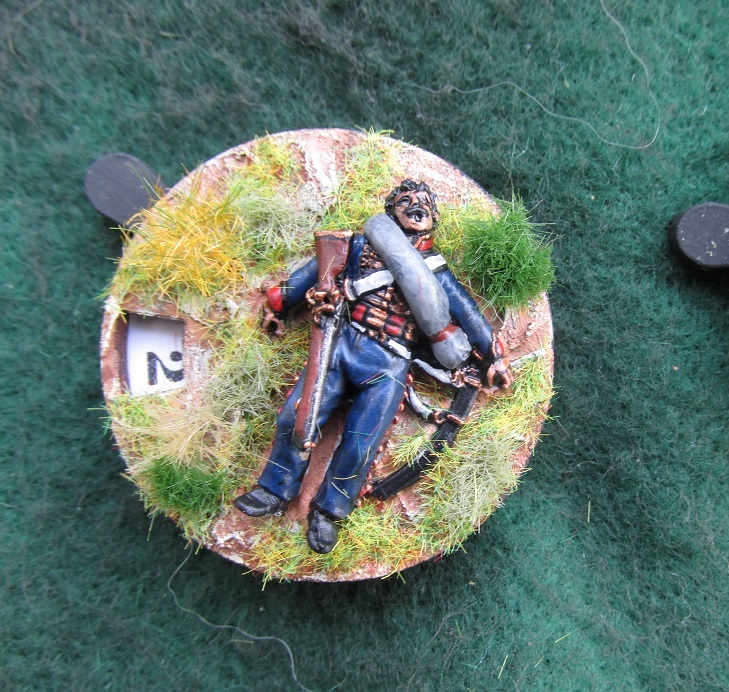 This guy is now a casualty for my French Hussar regiment. 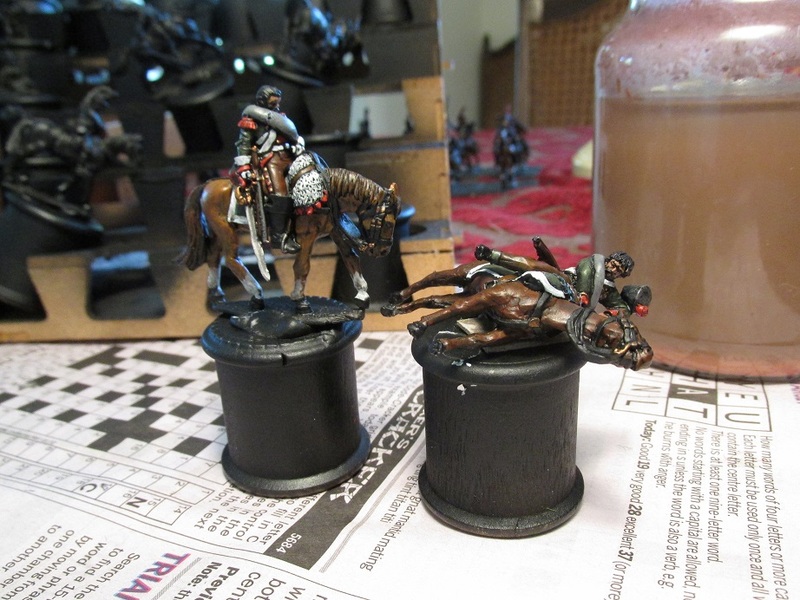 The next two have not been based yet as I wanted to mount them on larger versions of the bases. 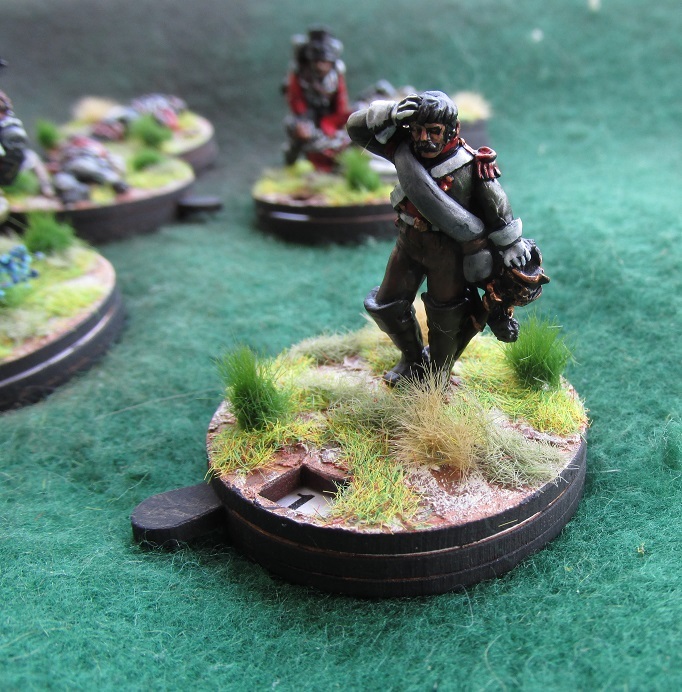 Warbases are making them especially for me but they have not arrived as yet. A Dutch/Belgian light cavalryman doing duty as a fallen French Chasseur and another Carabineer being a French Dragoon. Very effective Brian, I like these a lot. Very nice Brian – they look far better than dice and other clutter on the field. Thanks guys. I can’t wait until my 70mm versions of the bases arrive. The 40mm ones were a bit too crowded for dead horses – too much overlap. 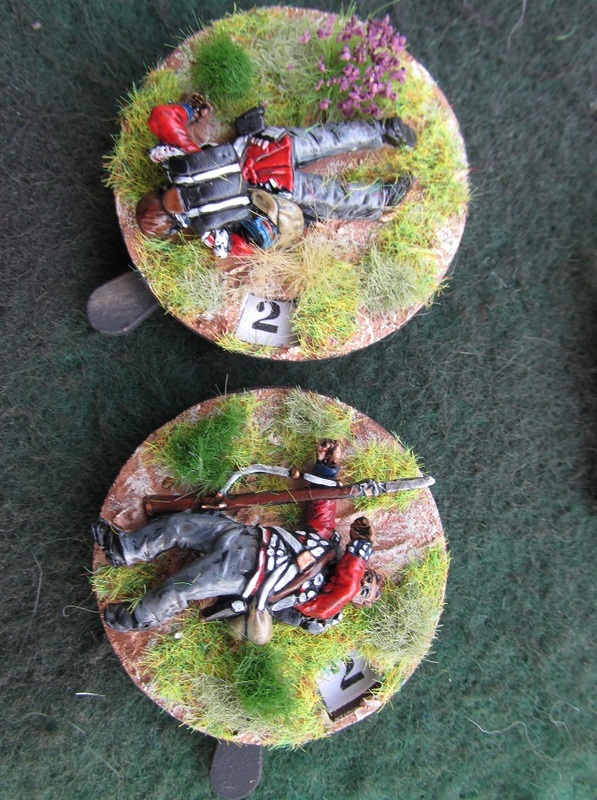 Interesting casualty stands did you ever try those Highlander tartans decals from Flags of War? I have seen those but have not tried them. 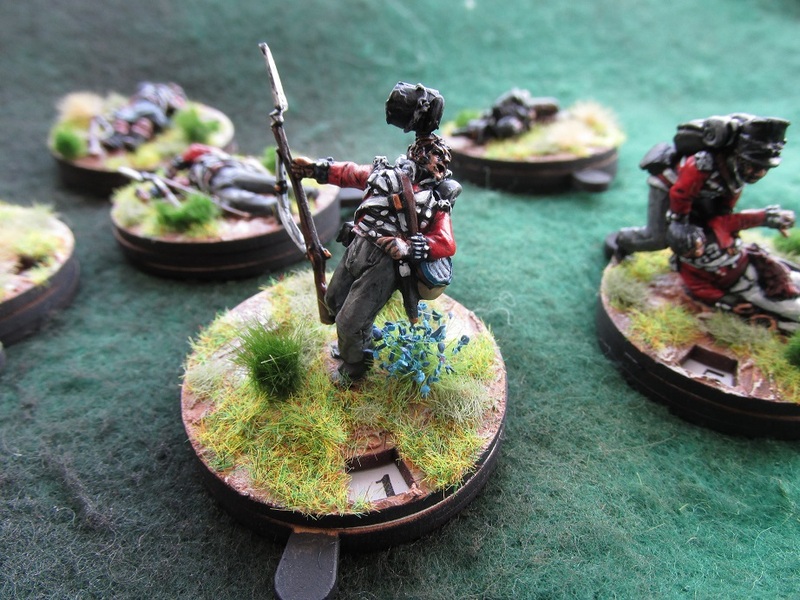 I have a set of the Victrix highlanders so I may do. The reason I did mine with dice was a plug for Minibits. Leon does a fantastic job supporting the hobby so I hope to have done him a favour. I’ve done other plugs on my blog. Most recently for Warbases, Martin is a great guy too! Nothing wrong with plugs. I do them all the time. I much prefer the look of what you have done with your casualty markers (or mine for that matter) than a pile of chips, wooden markers and so forth following around behind the unit. Makes for a more visually appealing game.